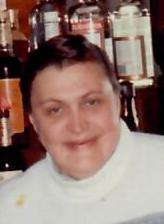 COLONIE – Bernice “Beanie” Ann Lasher, 77, of Colonie, passed away on Monday November 19, 2018 at the Inn of Community Hospice after a brief illness. She was born in Nelliston, NY and was the daughter of the late Harold and Dorothy Lasher. Beanie had been self employed with food and beverage establishments in Albany and Schenectady. More recently, she had worked for Teresian House and Atria Assisted Living. Beanie had a fondness for all animals. She is the sister of Lona Esther Lasher and the late Harold Alan Lasher and Glenn Bruce. Beanie is the aunt of Michael Lasher and the dear friend of Donna Haverlick and Joyce McMahon. She will be missed by her canine companion Peanut.